11 volunteers from Skanska arrived at bibic to help brighten up a playroom as part of their fantastic ‘Lend a Hand Days’ scheme. The playroom received a lovely fresh coat of paint as did the therapy rooms and the family room. 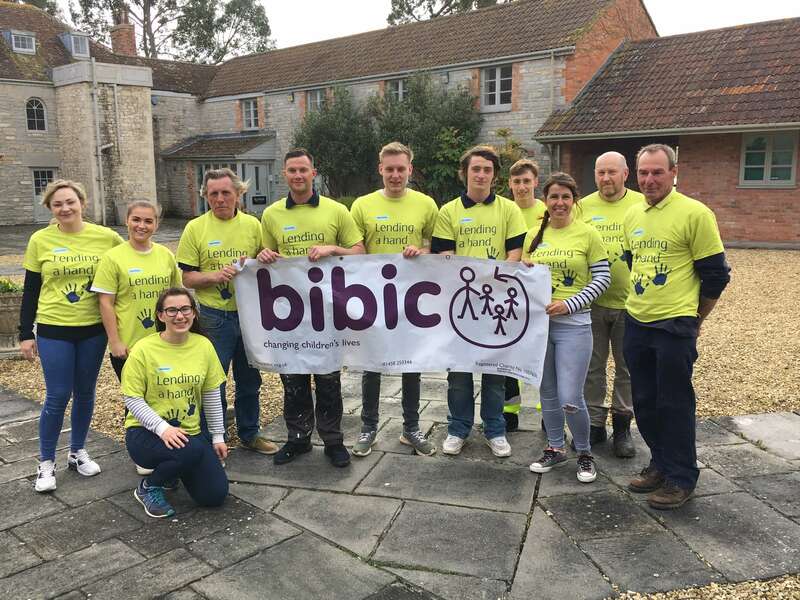 Whilst other volunteers were hard at work weeding and planting beautiful flowers and herbs, donated by Kelways Garden Centre, ready to welcome the children and families who visit bibic’s National Assessment Centre in Langport. Volunteer days or Lend a Hand Days as they are known at Skanska, are part of their Community Investment initiative which run throughout the business. This places them at the heart of many different communities, helping them to achieve their purpose ‘we build for a better society’.